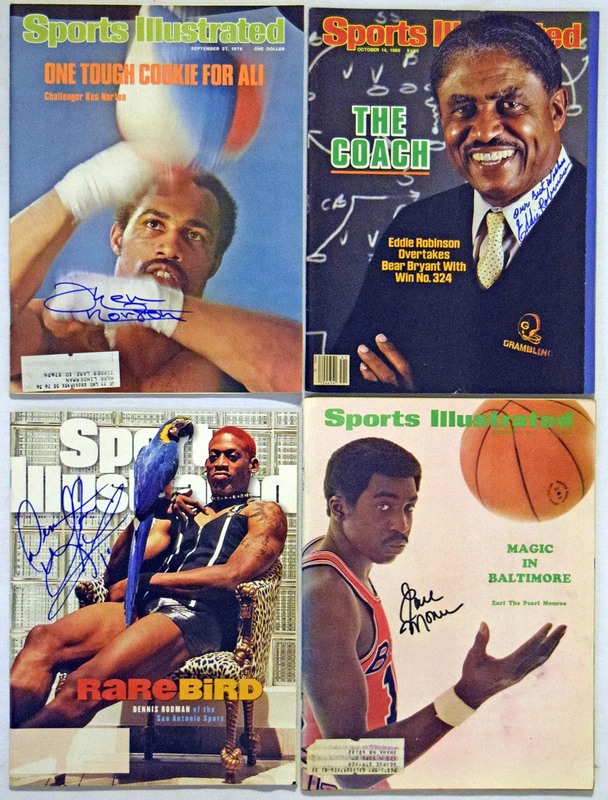 Mixed lot of signed Sports Illustrated issues, the autographs are uniformly bold and strong. Sports include basketball, boxing, golf, hockey and tennis. There is hardly any duplication, content includes: Rick Barry (1970), Gerry Cooney (2), Clyde Frazier (1973), Hale Irwin, Tom Kite, Bobby Knight, Earl Monroe (1969), Ken Norton, Eddie Robinson, Dennis Rodman, Monica Seles and Tom Watson.